This course assists database developers, DBAs, and SQL developers to identify and tune inefficient SQL statement. 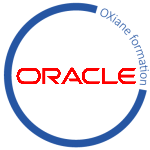 It covers investigative methods to reveal varying levels of detail about how the Oracle database executes the SQL statement. This allows the student to determine the root causes of the inefficient SQL statements. Students learn to interpret execution plans, and the different ways in which data can be accessed. They will learn how the optimizer chooses the path and how to influence the optimizer to ensure that the best method is used. This course covers Automatic SQL Tuning tools, and resources available in the Automatic Workload Repository, in addition to taking advantage of bind variables, trace files, and different types of indexes.